What is the Mandatory Recycling Ordinance? 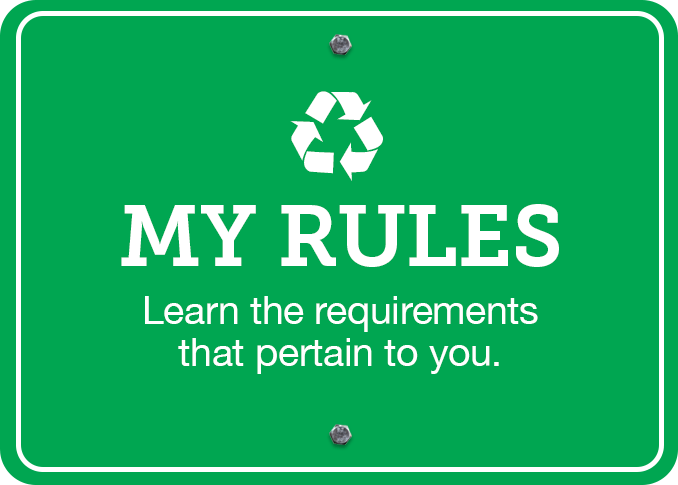 The Mandatory Recycling Ordinance is a law that prohibits the disposal of certain readily recyclable materials. It requires affected businesses and multi-family property owners in Alameda County to provide on-site recycling and organics collection service to handle the amount of recyclable material and compostable material (food scraps and compostable paper) produced at those locations. Who is affected by the ordinance? What materials must be recycled? Cardboard, newspaper, white paper, mixed recyclable paper, recyclable glass food and beverage containers, metal (aluminum and steel) food and beverage containers, and PET (#1) and HDPE (#2) plastic bottles must be recycled. As of July 1, 2014, food scraps and compostable paper must also be kept separate from garbage in certain jurisdictions. Please see the Rules by City page to find out the rules in your city. What resources and support are available to help with compliance? Technical, “how-to” assistance for businesses and institutions in Alameda County is also available through Alameda County Waste Management Authority. Food is also recyclable; am I required to recycle food scraps under the ordinance? 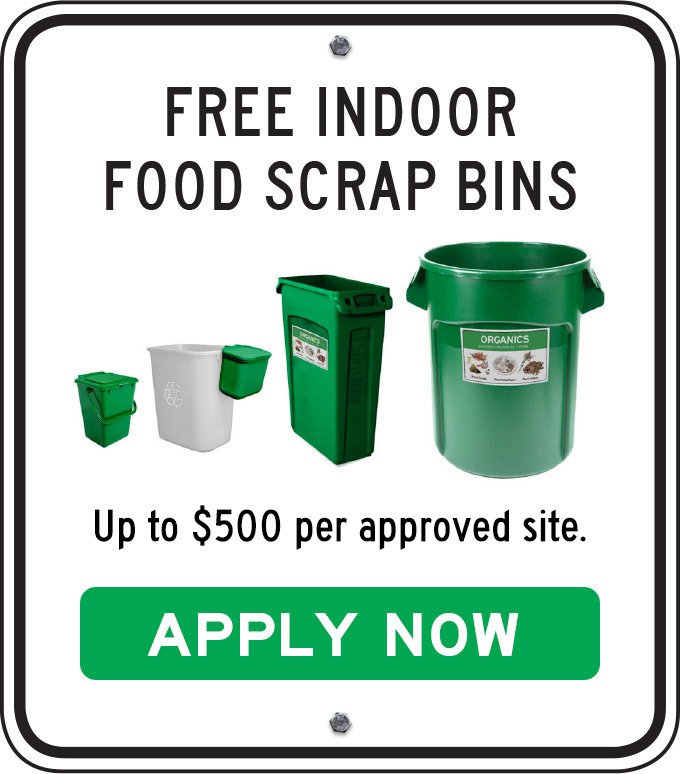 Effective July 1, 2014, this law also requires separate collection of food scraps and compostable paper at all businesses and institutions and all multi-family buildings with five or more units located in jurisdictions that “opted-in” to Phase 2 of the ordinance. Please see the Rules by City page for more information. When we refer to “organics,” we are not talking about the pesticide-free produce you buy at the grocery store. Organics is a term used to describe materials such as food scraps, food-soiled paper and plant debris. These materials, when sent to a composting facility, will become compost – a valuable resource used by landscapers and farmers. Plant debris can also be added to separate organics collection service in most cases. The Plant Debris Landfill Ban Ordinance 2008-01 requires those subscribing to 4 or more cubic yards of weekly on-site garbage service to place plant debris in the designated “organics” bin, and those who haul to their local facility must deposit plant debris in the disposal facility’s designated “clean green” area. Plant debris includes grass, leaves, shrubbery, vines and tree branches. Many cities offer more detailed descriptions of the types of organics accepted in your city. To learn more, go to the Rules by City page, click on your City, then scroll to the “Support Materials” section or contact your organics collection service provider. Why has the Alameda County Waste Management Authority adopted this ordinance? The purpose of the ordinance is to reduce the amount of recyclables and compostables (food scraps and compostable paper) deposited in landfills from businesses, multi-family residences, and self haulers. The ordinance is designed to help Alameda County businesses and residents reach the long-term goal of reducing waste by ensuring that recyclables and compostables make up less than 10 percent of material sent to landfill by 2020. How is this ordinance different from State law? State laws AB 341 and AB 1826 also require some businesses and multi-family residential properties to provide recycling and organics collection service. However, the local Alameda County ordinance differs in that it clarifies which materials must be recycled, and requires adequate levels of recycling service, proper sorting of materials at businesses, and specifies how it will be enforced. What is the Alameda County Plant Debris Landfill Ban Ordinance? The ordinance, which was passed by the Alameda County Waste Management Authority in early 2009, prohibits disposal of plant debris in county landfills. Plant debris includes grass, leaves, shrubbery, vines and tree branches. This plant debris must be separated from all garbage and deposited in a disposal facility’s designated “clean green” area or a designated “organics” cart or collection bin. Full text of the ordinance is available here. What is accepted at designated “clean green” areas of disposal facilities? Only plant debris is accepted. Therefore, plant debris must be separated from contaminants such as glass, plastic, take-out containers or construction materials. If the plant debris contains even a small amount of such contaminants, it cannot be composted and must go to the landfill. Why is the separation of plant debris and garbage so important? Separating plant debris and garbage will help the Alameda County Waste Management Authority meet its long-term goal of reducing the waste that goes to landfill by ensuring that easily recyclable and compostable materials make up less than 10 percent of landfilled discards by 2020. Deposit of plant debris at designated “clean green” areas allows the material to be turned into rich compost, which improves soil health. Does the ordinance apply to Alameda County residents who use green carts for food and yard trimming collection? Individual residents do not typically generate enough volume of plant debris to justify hauling to a disposal facility. Residents should continue to dispose of plant debris in their green organics (yard trimmings) carts, along with food scraps, food-soiled paper and other organic materials. What happens to those that don’t separate plant debris from waste? Landscapers and organizations that fail to separate plant debris from waste can be fined. Fines range from 50% surcharges on their dump fees to $100 citations for the first violation within a year, to $500 for the third and successive violations. Loads will be randomly checked at generator locations and at disposal facilities for violations. However, the goal of the ordinance is compliance and environmental protection, not the collection of fines. Are there penalties if I don’t comply? What are the penalties? Violators of the ordinance may be subject to citations and fines of $100, $200 or $500 for first, second or additional violations within a year. Facilities may be subject to higher fines. The goal of the ordinance is compliance and environmental protection, not the collection of fines. Where can people find out more about the ordinance? More information about the Plant Debris Landfill Ban Ordinance can be found here or by calling the Ordinance Information line at (510) 891-6575.